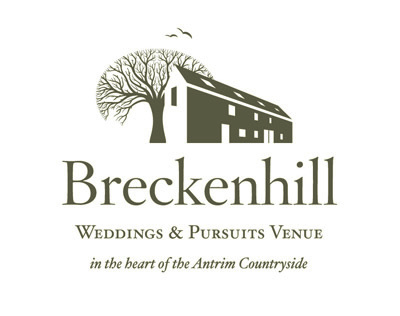 A wedding venue with a difference – Breckenhill is a private and secluded barn wedding venue located in the heart of County Antrim. 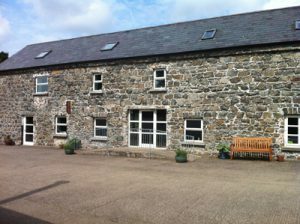 Set in a quiet, picturesque location in the hills near Ballyclare, we offer a truly flexible and unique venue in a sympathetically restored 18th century barn. 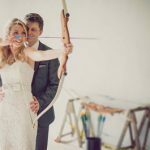 The barn and its surroundings are an ideal, secluded, and very private venue for your wedding. 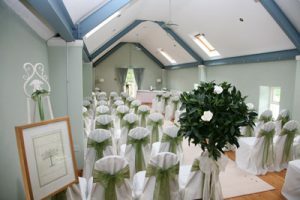 Ceremonies for civil marriages and partnerships can be held in the barn, either upstairs (up to 80), or downstairs (up to 30), in the Drawing Room in the Georgian house (up to 25), or outside in different parts of the garden. 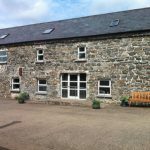 The reception and evening party can then be held in the barn, and our adjoining marquee opening onto the patio and garden. Guests have the option of hiring a larger marquee to go alongside the barn if more space is required. 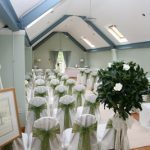 Hog roasts, barbecues and picnics are popular catering options, and we can provide a list of caterers, bar services and other wedding suppliers. 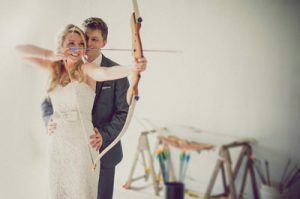 We can also offer a range of activities including archery, Nature Trail and the tennis court, and guests have hired anything from a petting zoo to a playbus!